Posted May 10, 2018 by NCRC & filed under Racing News. 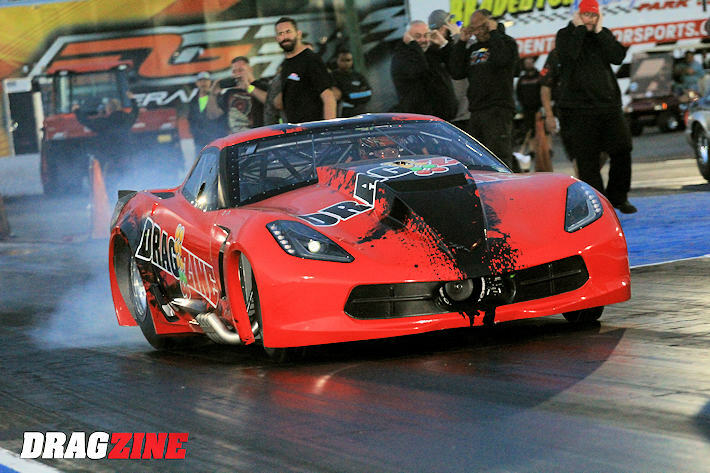 Adam Flamholc claimed the win in Pro Extreme at the PDRA North South Shootout by defeating #1 qualifier Terry Leggett in the final. 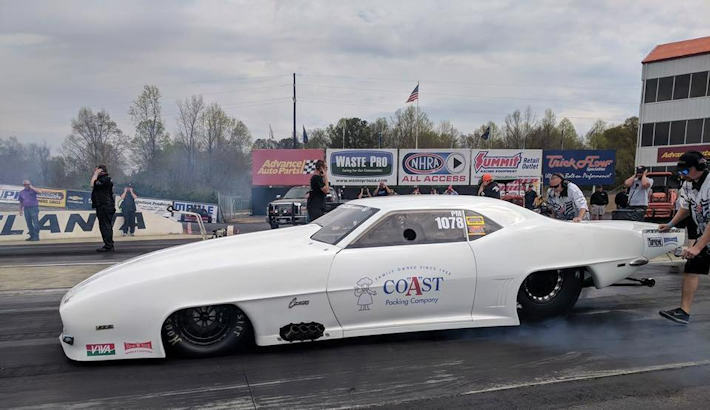 Leggett was a bit off pace in the “All NCRC” Final running a 4.063, while Flamholc ripped off his third pass in the sixty’s with a 3.63 at 214.62 to take the win. Congratulations to Adam and Team on the win, and to Terry and Team on the Runner Up, #1 Qualifer and a bad bad 3.552 in the 1st round!! Billy “The Kids” Albert also took home the win in Top Sportsman behind the wheel of Stan Nance’s Camaro. He went 3.934 on a 3.85 dial in to defeat John Benoit who ran 4.112 on a 3.93 dial. Congratulations Billy, Stan and the rest of the Team on your big win!! Posted May 9, 2018 by NCRC & filed under Racing News. 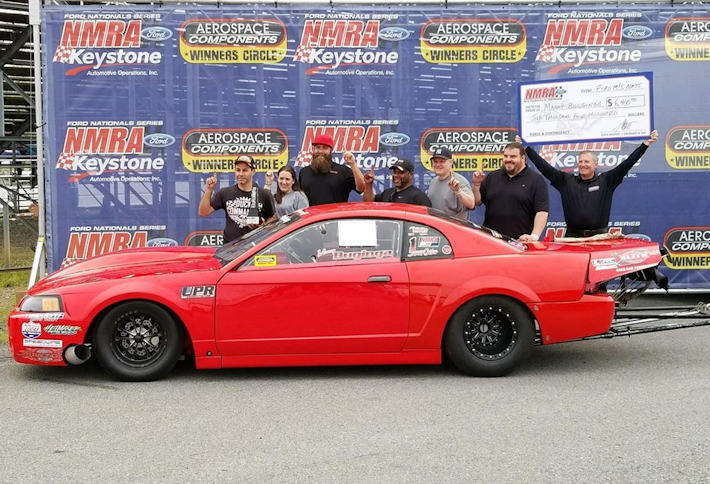 The competition is red hot in NMRA Street Outlaw this year, and we’re proud to see our customers going to the finals yet again! Andy Manson set Low ET with a 4.328 in qualifying which set the stage for a great final round between him and Manny Buginga in a close race with the holeshot win going to Buginga, whose .023 light and 4.309@170.39 was enought to defeat Manson’s .043 reaction time coupled with a 4.292@170.13, that was a good race!! Congratulations to Manny and Team Buginga on the win, and to Andy, Chris at Acors Performance and the rest of the Manson Team on the Runner Up!! Posted April 9, 2018 by NCRC & filed under Racing News. With only two races on his new car, Eric Gustafson not only became the first to the 3.70’s with a Centrifugal Blower, he also put the new car in the winners circle with the help of the R & E racing team and Jason Lee @PTP!!! During eliminations in Altlanta, they went .951, 2.522 and 3.797@195.79 to be the 1st to the 3.70’s for a Centrifugal Blower! That’s a heck of weekend in anyone’s book! 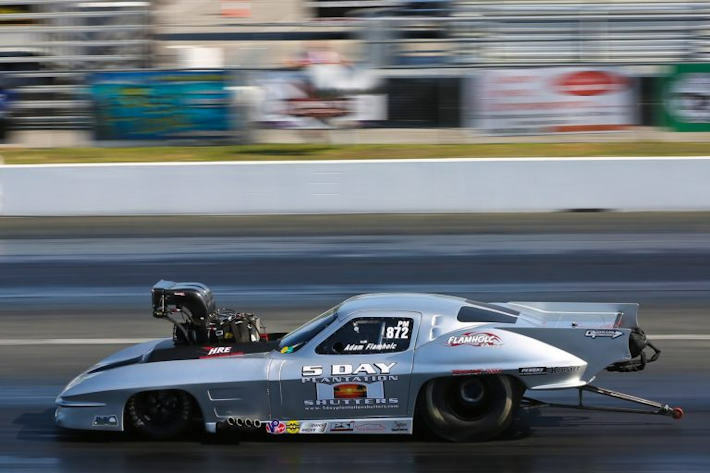 .. Eric made it through a 22 car field to defeat Craig Sullivan in the final round 3.77 to 3.85 to take the win which also backed up his blower record too. Congratulations to Jason, the R & E Racing Team and Jason Lee PTP on a great performance!!! Lawrence NMCA Bradenton Radial Wars Winner! 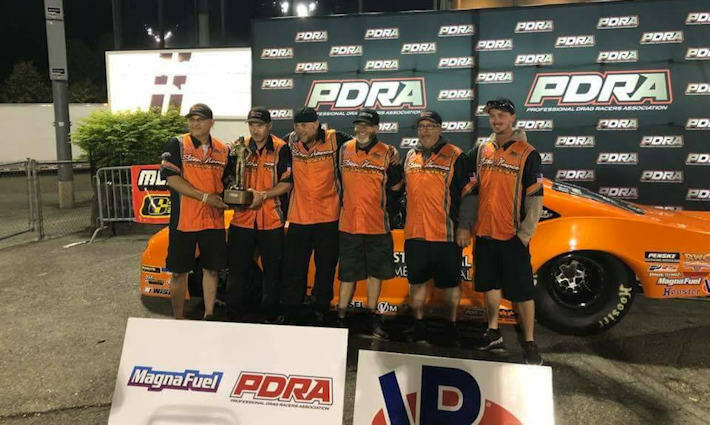 We want to congratulate James Lawrence and the Project BlownZ06 Team on their first win of the season in their new car at the NMCA Bradenton season opener! Lawrence ran a best of 3.86 in testing and multiple 3.90’s during eliminations. He defeated Marty Stinnett in the final to take the first win of the season. Great starting race for the new car, way to go guys! Posted March 20, 2018 by NCRC & filed under Racing News. Alex Hays Naturally Aspirated Mustang is a bit of a rarity in Ultra Street Competition, a class filled with Nitrous and Boosted combinations. Even more interesting is that he currently holds the 2018 Ultra Street ET Record both overall and NA with a 4.693@153.81 set at Lights Out 9 earlier this year. Alex uses a Billet Neal Chance Converter in his car which flat hauls, it’s been 1.063 60′, which is just stunning for a NA car. There’s no doubt the rest of the class is already gunning for that top spot, but Hays isn’t gonna be at rest either. With only 5 passes on his new Holley EFI setup, you can bet the ET’s are going to continue to drop some more very soon. With help from engine builder Chris Uratchko, Cylinder Head Guru Slick Rick McConathy, The Manifold Magician John Marcella and Holley EFI Whiz and really tall dude Chris Pinney this car’s the envy of all the power adder guys!